Are you among the 80% of companies globally that now outsource some or all of their logistics activities? If you are, ask yourself this: Are you happy with your outsourcing results? The team of experts at Logistics Bureau assists companies to determine whether Supply Chain, Logistics, Warehouse or Transport Outsourcing is an appropriate strategy and if required, provides specialist support through to implementation. Logistics Bureau’s consultants do not have commercial relationships with any service providers and so we provide a totally objective and unbiased approach. It’s estimated that over 80% of companies globally now outsource some or all of their logistics activities, but outsourcing does not suit all companies and some organisations are not happy with their outsourcing results. So reduce eliminate your risk and talk to Logistics Bureau first. We assist our customers to determine whether Supply Chain, Logistics, Warehouse or Transport Outsourcing is an appropriate strategy and if required, provide specialist support through to implementation. Logistics Bureau’s consultants do not have commercial relationships with any service providers and so we provide a totally objective and unbiased approach. Our consultants outsourcing experience also includes offshore sourcing with a number of recent projects related to product sourcing in China and evaluating the down stream Supply Chain benefits. An ethical and thorough tender evaluation process. Finding the right cultural ‘fit’ with potential outsourcing partners. Getting the best value for money from the outsourcing contract rather than the lowest price. Providing professional assistance and methodologies in the outsourcing process. When required, throwing the net wide, including new and developing companies. Evaluation of varied ‘types & styles’ of outsourcing partners. And providing all of this, in a structured, objective and unemotional process. Our specialist outsourcing consultants have been involved in hundreds of outsourcing and tender related projects across many industries. Our thorough and meticulous approach to outsourcing ensures success for your business. Here is an example of the typical stages our consultants use in an outsourcing project, whatever the level of focus. 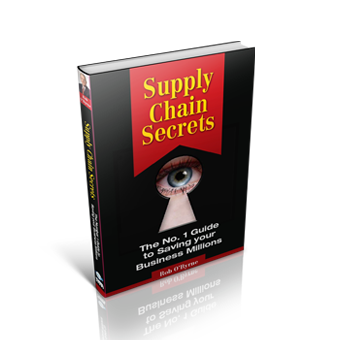 Supply Chain, Logistics, Distribution, Warehousing or just Transport. There is a great deal of interest in the use of Performance Based Logistics (PBL) contracts, stemming mainly from the use of such contracts within the US Department of Defence. Logistics Bureau’s consultants have been very successful in taking this approach to industry, and we have been pleased with the high degree of acceptance by many of the major Third Party Logistics (3PL) companies. of this style of contract. Simplistically, our approach is to reduce as much of the logistics costs as possible to variable costs, and link elements of the 3PL’s rewards to achieving specific service and cost outcomes. As part of our outsourcing related services, our consultants also assist third party logistics (3PL) companies in developing solutions for customers, improving current contract performance and integrating/implementing new contracts.